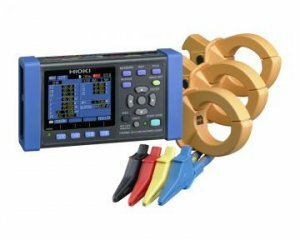 HIOKI Clamp On Power Meters are multi-channel power measuring devices utilizing clamp sensor input to accurately and safely measure power on single-phase to three-phase lines. The PW3360-20 and PW3360-21 monitor power demand and other power parameters to aid in energy audits and validate energy saving measures. Note: At least one optional current sensor is necessary to measure current or power parameters. To store measurement data, use only the guaranteed SD cards sold by HIOKI.